The world is under attack in IRON MAN/X-O MANOWAR IN HEAVY METAL, and its up to Iron Man and X-O Manowar to save the world. 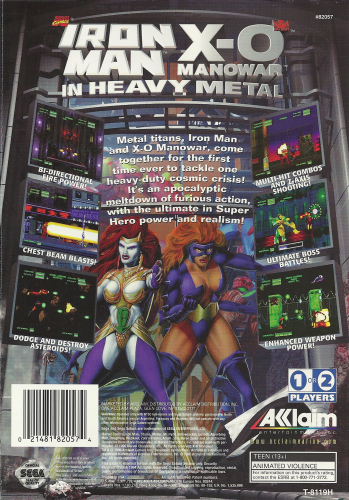 Battle classic enemies like Goliath, Titania, Yellojacket, and Mr. Hyde in eight expansive levels of action. Master your standard attacks and use special moves like hover, blaster, and Uni-Beam to eliminate the bad guys. If the going gets tough, have a friend play along with the two-player Cooperative mode. 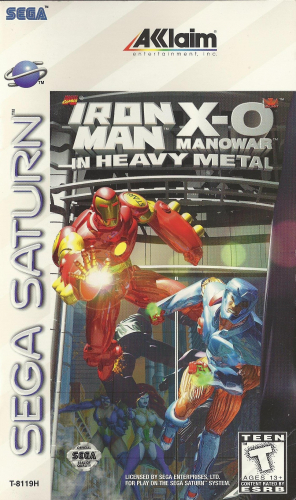 Only Iron Man and X-O Manowar can save the world.